Happy Monday, friends! I have two finals today and then I am officially on break!! I can hear the hallelujah chorus!! I can't believe we are approaching the 10 days away from Christmas mark!! I am so excited for the holidays and being able to just enjoy family and friends! I don't know about you but before we know it, Christmas will be passed and it will be full fledge New Years prep! I know some love to just be in their pjs and watch the ball drop while others love to go out and celebrate a new year with friends and get all dressed up. Today I'm sharing an outfit just for that! 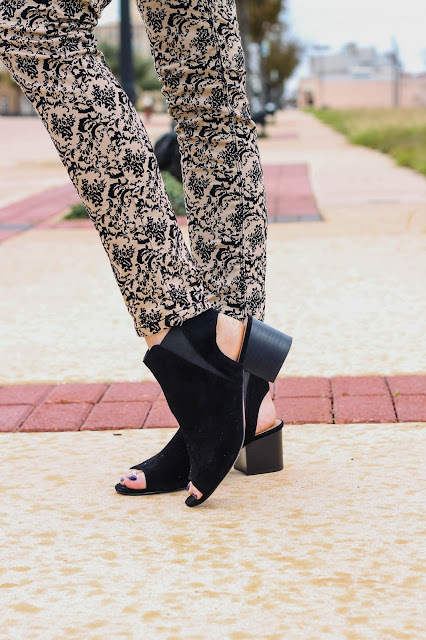 I am loving the velvet texture that has brought its way back into style. I love the look and feel of it. 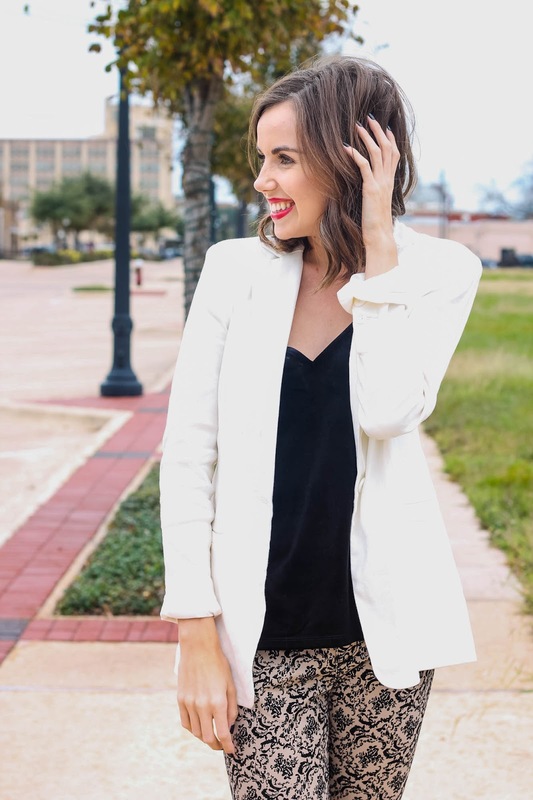 The black velvet top contrasts perfectly with the white blazer. 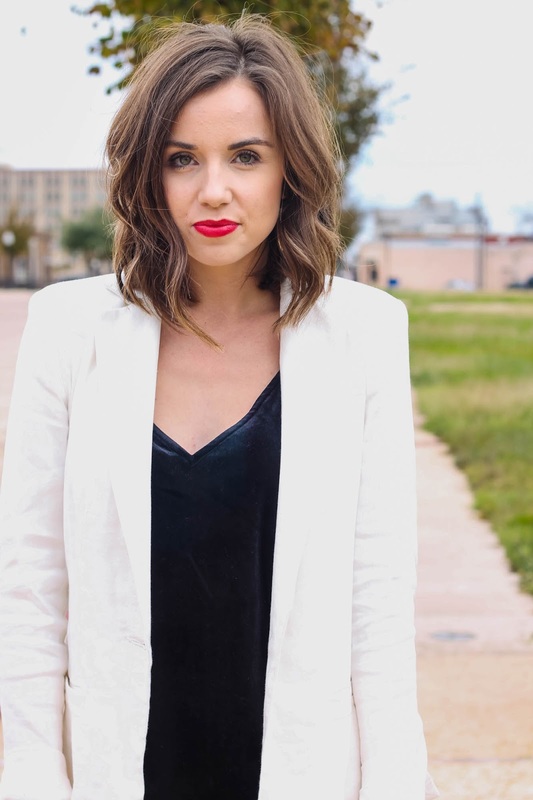 This blazer is a staple. No white after labor day is an absurd rule! 😉 I know I've said that before but I mean it. White all year round is my motto. The black with the white keeps it crisp and fun! What I love about the black is it makes it dressier for night time. It's also a tank top so if you get your groove on and get hot, no biggie because you can take your blazer off and feel fabulous! 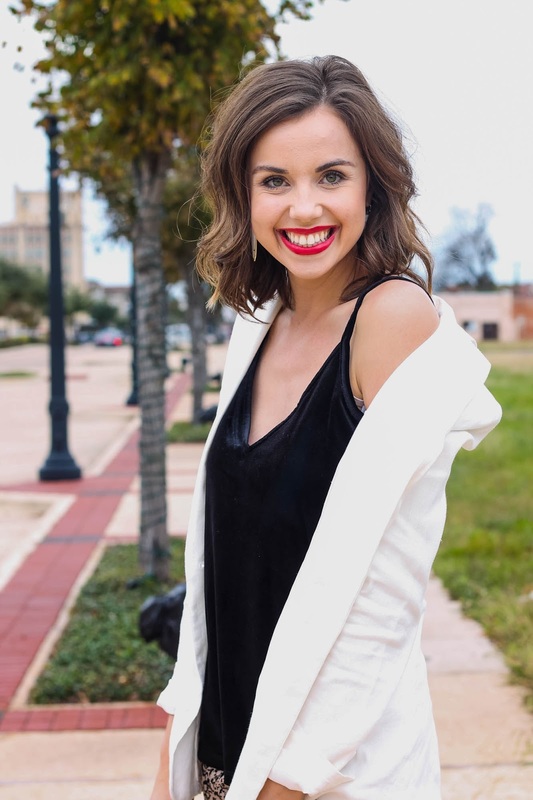 The red lip is the perfect holiday pop of color. 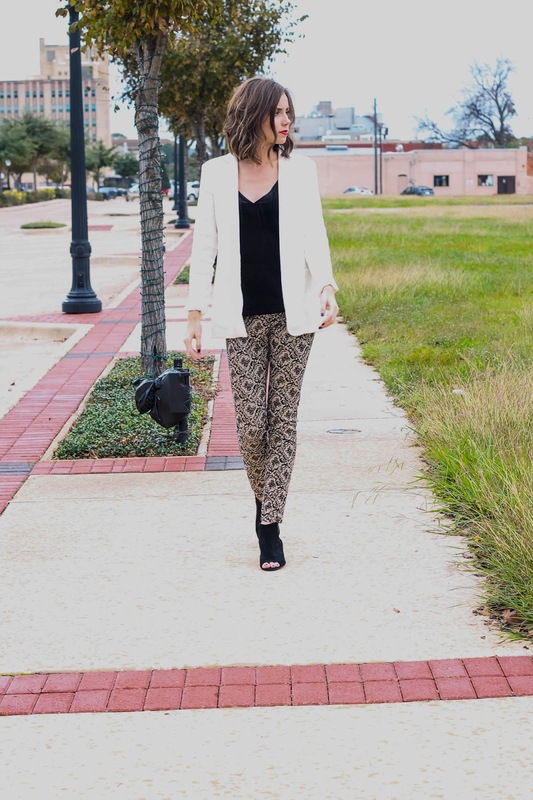 (If you want to make this work for a Christmas party I would say just add some red shoes!) 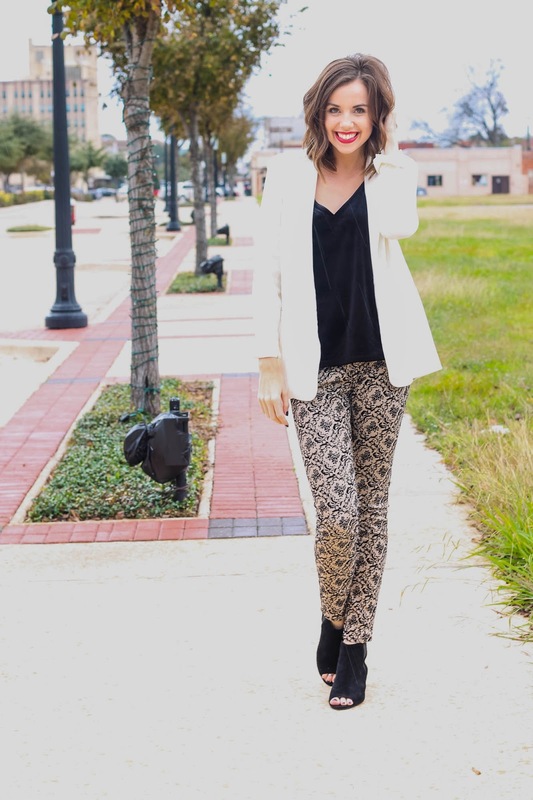 Another must for your closet is what I like to call a crazy patterned pair of pants! These add spice and really take any outfit from plain to extravagant in a matter of seconds. 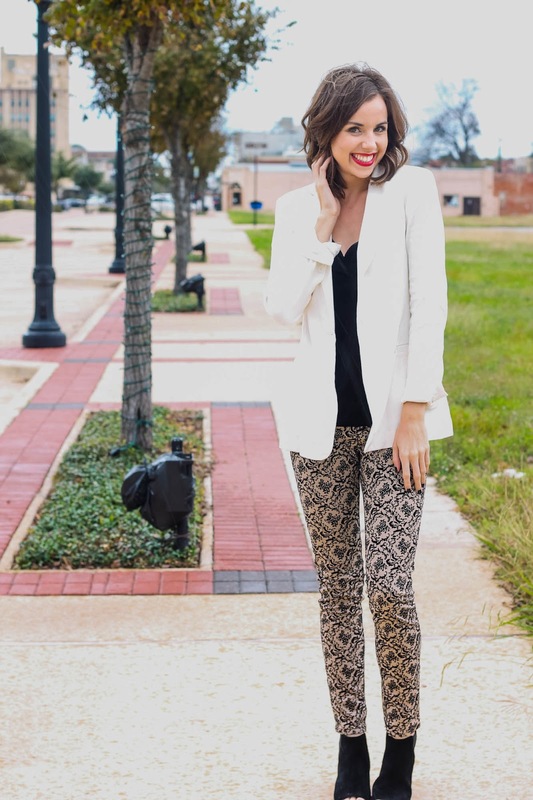 These pants I got years ago but I tried to find some similar ones so I have those linked below. What are your plans for New Years?? Share in the comments! I'd love to know! I hope you love this outfit as much as I do! Thanks so much for reading!